Celebrate our 35th Anniversary with us by sharing your favorite Larkin Street memory! As an organization that started as a small drop-in center and now provides beds and supportive services for more than 300 young people every night, we are proud of our history. From big to small wins, our past accomplishments are a testament to how much a strong team and loyal supporters can achieve. Together, we have proven that youth homelessness is solvable. 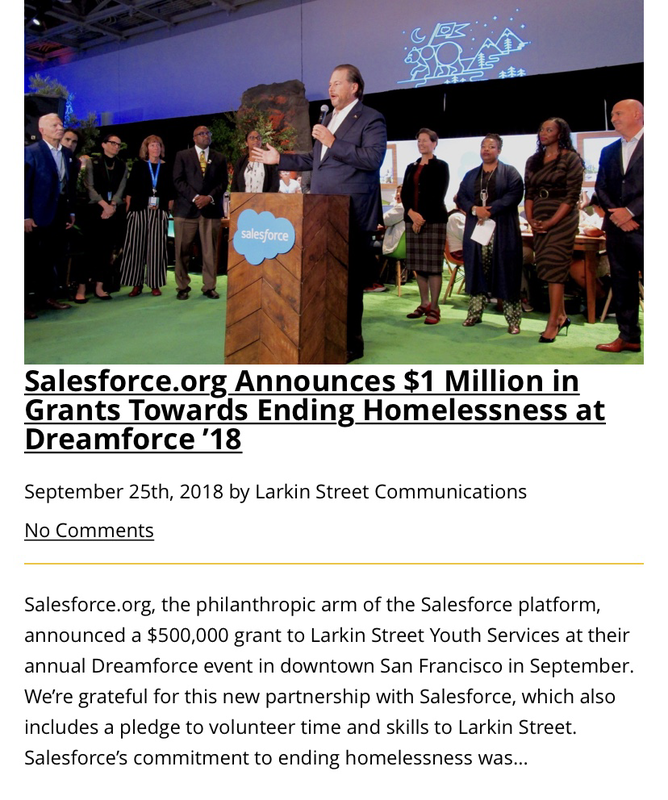 As we look forward to the coming years, we would also like to look back at the past 35 years with you: calling for all Larkin Street memories! 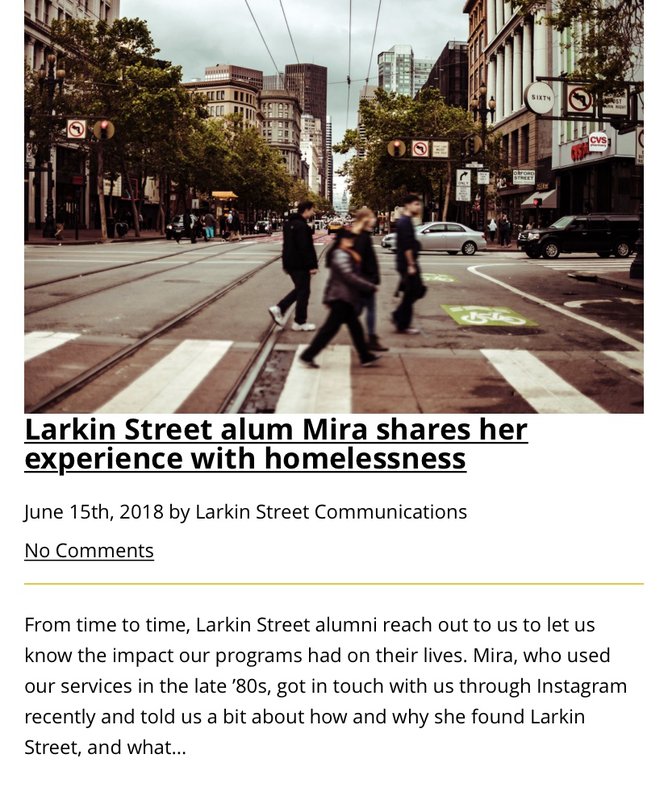 From volunteering, graduating from our programs, attending our events, or anything else, we invite you to share your favorite Larkin Street memories! Photos and testimonials submitted may be used in our Annual Impact Report which will publish in Fall 2019. 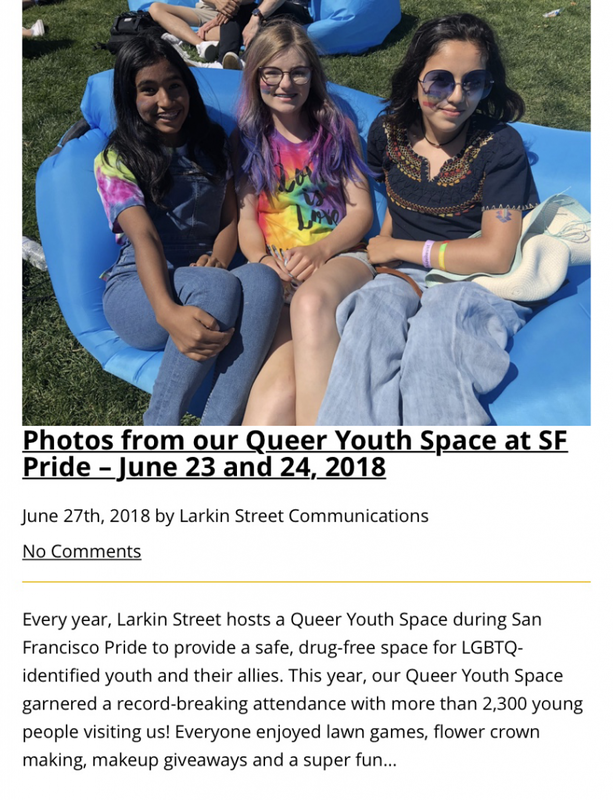 By submitting to us, you’re consenting to Larkin Street using this information (including individuals mentioned/featured) on our electronic media and/or printed materials. Here are some of our most recent favorite memories. We look forward to hearing yours!